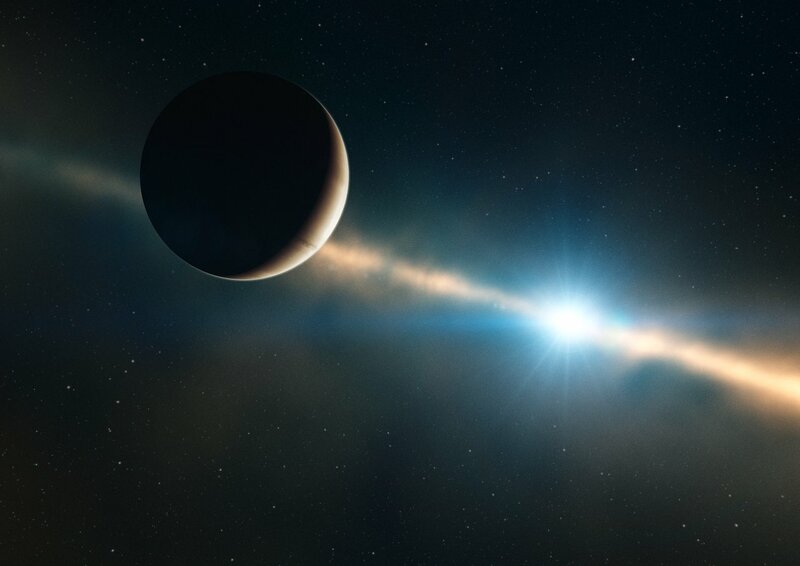 For the first time, astronomers have been able to directly follow the motion of an exoplanet as it moves from one side of its host star to the other. The planet has the smallest orbit so far of all directly imaged exoplanets, lying almost as close to its parent star as Saturn is to the Sun. Scientists believe that it may have formed in a similar way to the giant planets in the Solar System. Because the star is so young, this discovery proves that gas giant planets can form within discs in only a few million years, a short time in cosmic terms. Images are available for approximately ten exoplanets, and the planet around Beta Pictoris (designated “Beta Pictoris b”) has the smallest orbit known so far. It is located at a distance between 8 and 15 times the Earth-Sun separation — or 8-15 Astronomical Units — which is about the distance of Saturn from the Sun. “The short period of the planet will allow us to record the full orbit within maybe 15-20 years, and further studies of Beta Pictoris b will provide invaluable insights into the physics and chemistry of a young giant planet’s atmosphere,” says student researcher Mickael Bonnefoy. 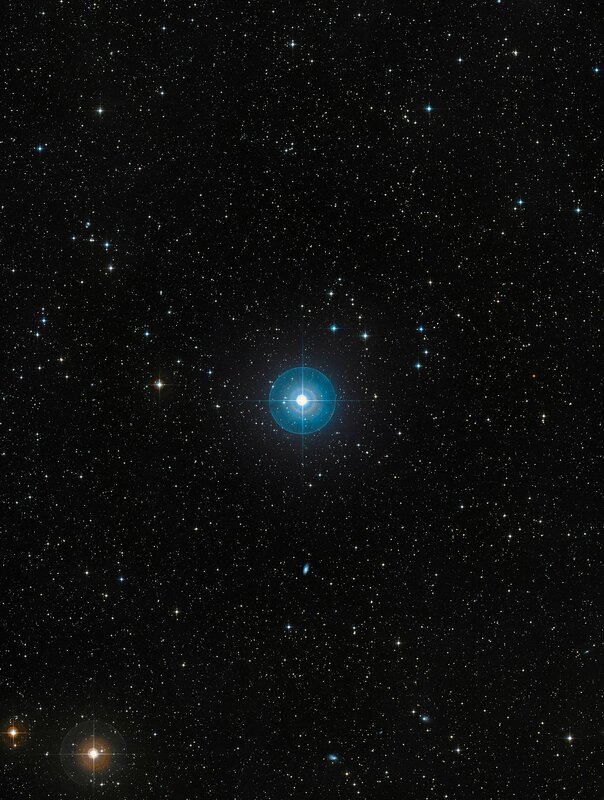 “Together with the planets found around the young, massive stars Fomalhaut and HR8799, the existence of Beta Pictoris b suggests that super-Jupiters could be frequent byproducts of planet formation around more massive stars,” explains Gael Chauvin, a member of the team. Debris discs are composed of dust resulting from collisions among larger bodies such as planetary embryos or asteroids. They are larger versions of the zodiacal dust band in our Solar System. The disc around Beta Pictoris was the first to be imaged and is now known to extend up to about 1000 times the distance between the Earth and the Sun. NACO is an adaptive optics instrument attached to ESO’s Very Large Telescope, located in Chile. Thanks to adaptive optics, astronomers can remove most of the blurring effect of the atmosphere and obtain very sharp images. 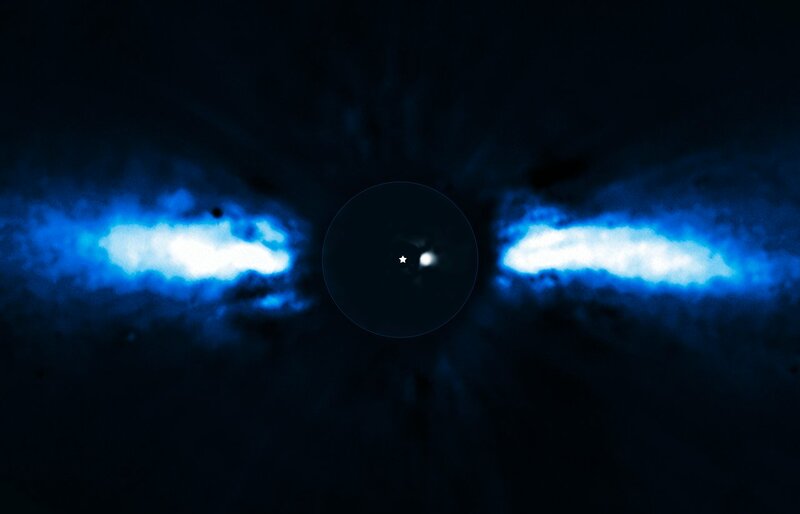 This research was presented in a paper to appear this week in Science Express (“A Giant Planet Imaged in the disk of the Young Star Beta Pictoris,” by A.-M. Lagrange et al.). The team is composed of A.-M. Lagrange, M. Bonnefoy, G. Chauvin, D. Ehrenreich, and D. Mouillet (Laboratoire d'Astrophysique de l'Observatoire de Grenoble, Université Joseph Fourier, CNRS, France), D. Apai (Space Telescope Science Institute, Baltimore, USA), A. Boccaletti, D. Gratadour, D. Rouan, and S. Lacour (LESIA, Observatoire de Paris-Meudon, France), and M. Kasper (ESO).